Today’s Forensic Friday experiment is brought to you by the letter S – for SLIME. Ooey, gooey, slime. Of course Sinister and Nefarious want to make their own slime. And it is a good lesson in chemical reactions (as is any cooking in the house)… My concern is what kind of weaponry they are mentally designing with this new knowledge. Step 1: In a container, mix together one tablespoon of glue (general craft glue), one tablespoon of water, and one drop of food colouring (Sinister chose BLUE). 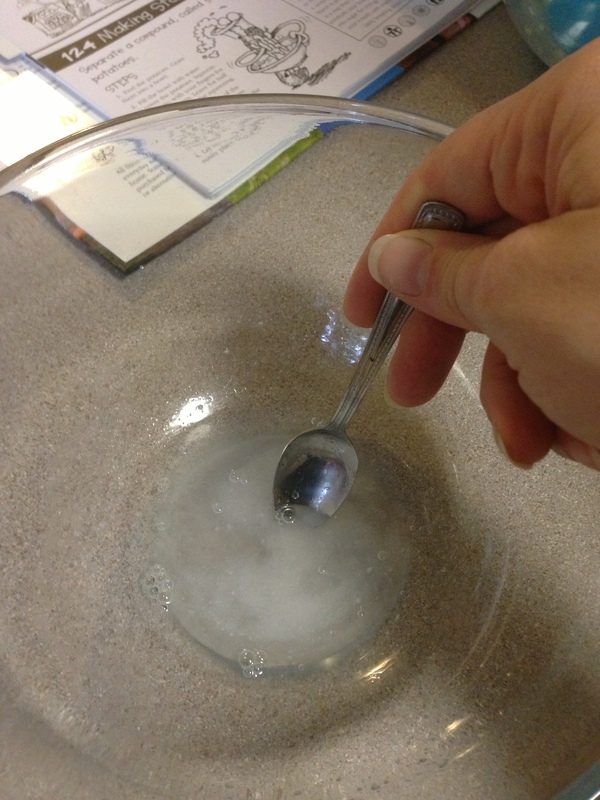 Step 2 – In a separate container, dissolve one teaspoon of borax powder in one tablespoon of warm water. Borax powder is POISONOUS – wash your hands after touching it or your slime! 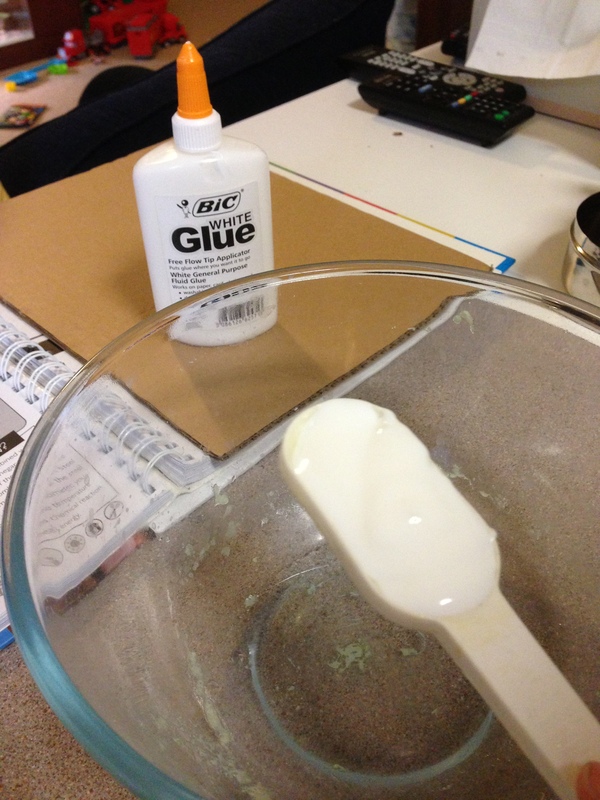 Step 3 – Pour the Borax solution into the glue mixture. 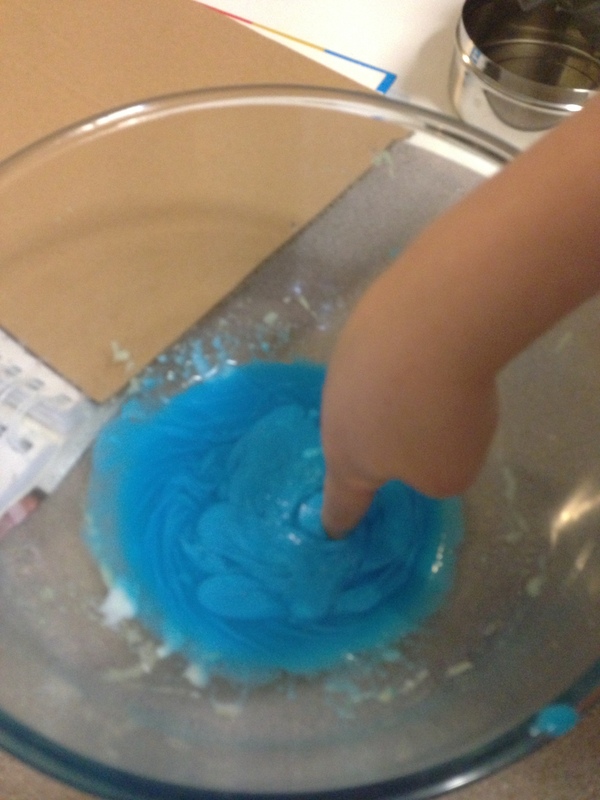 Mix with your fingers and a slime should form, almost instantly. It will feel plastic-y and gooey. And awesome. 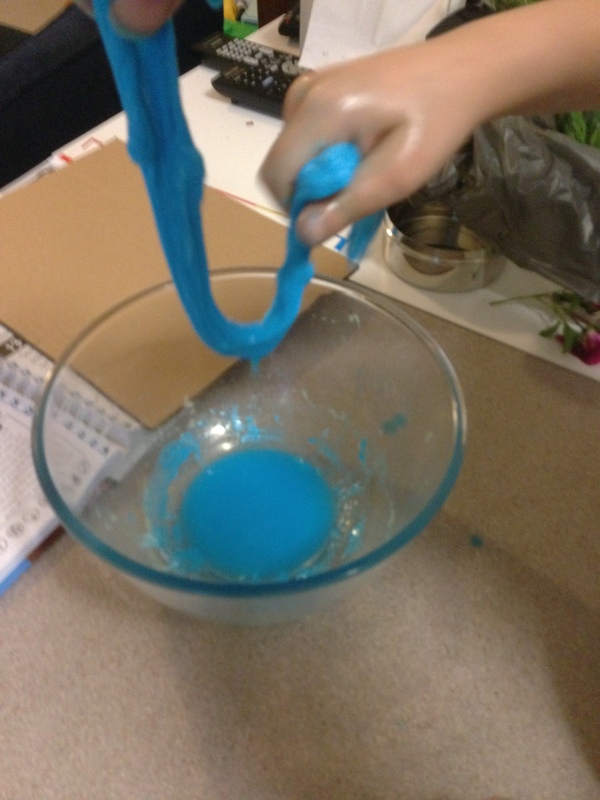 Step 4 – The glue and the borax mix together to make a new chemical – SLIME!! The borax stops the glue flowing like a liquid. This makes the slime very elastic. 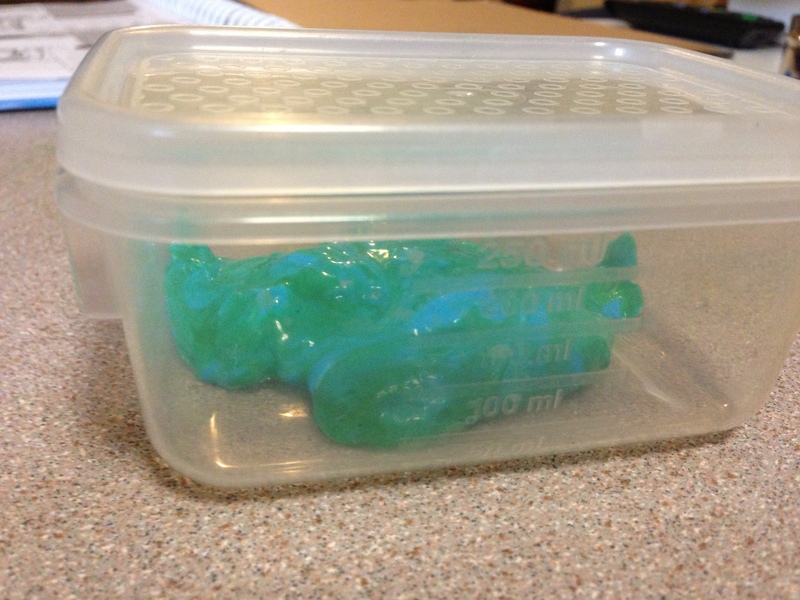 Step 5 – Store your slime in an airtight container. And there you go! This slime is excellent. We had some extra moisture, but once you squeeze that out it becomes a little sticky and very much like malleable plastic. Even better: Stretch it at just the right angle, and you can slingshot it right into your kids’ hair. This entry was posted in Curriculum of Evil and tagged educational, experiment, science, slime. Bookmark the permalink.